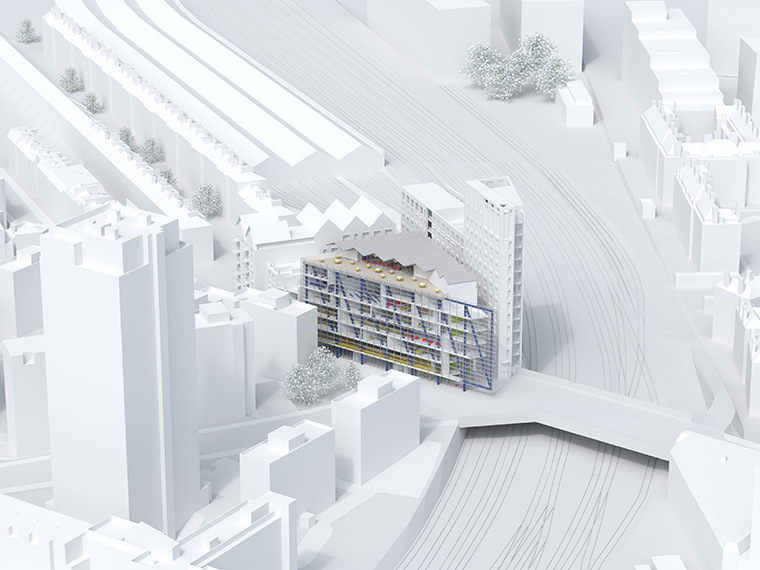 This proposal for a large, mixed-use scheme is on a prime site alongside the railway in Pimlico, owned jointly by Westminster City Council and Network Rail. It was an invited competition led by Willmott Dixon and Prime Place with DMA designing the flagship University Technical College and Allies and Morrison responsible for the 125 high-end residences that cross fund the project. The UTC is designed as a pre-fabricated, modular building that expresses its structural frame, referencing the college’s engineering specialism. 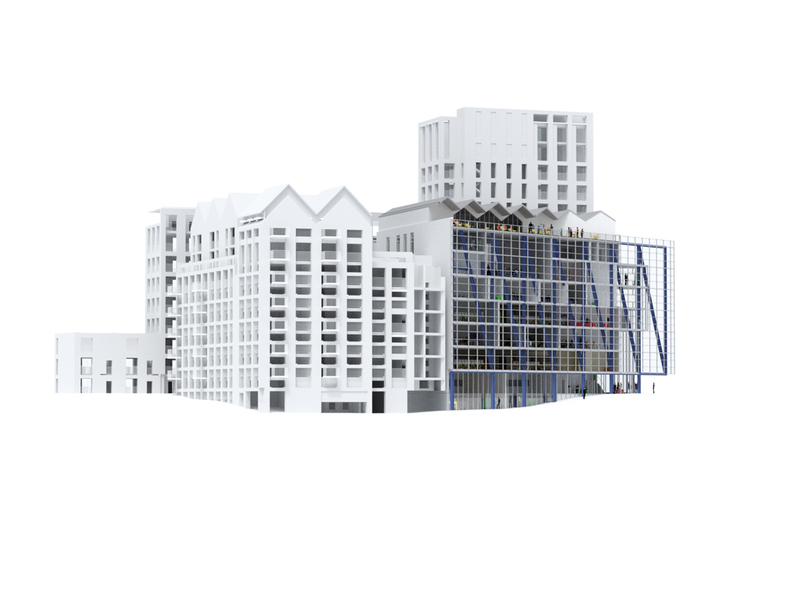 Street level workshops create transparency and a visual link between the college and the community and a new, landscaped, mews street provides access to the housing. Sustainability rating – Homes designed to CfSH Level 5, UTC to achieve BREEAM Excellent.